In June 2008, when Stephen Harper was Prime Minister, he offered the Indigenous people of Canada an apology for the residential school system that separated Indigenous children and youth from their families, communities and cultures. Following this, The Truth and Reconciliation Commission (TRC) was tasked with finding out the truth about the residential school system and survivors of that system were given the chance to testify about their experiences. In the view of the author Dr Dawn Zinga, reconciliation concerns changing how we educate children and young people and, “about confronting what we have been taught, deconstructing those lessons and examining them in conjunction with the treaty history and the testimony from residential school survivors.” She also argues that Canadians need to critically examine how Canada and Canadian citizenship came to exist and not to shy away from the realities of what was done historically to accomplish those goals. This analysis also reveals the role that Canadian universities are taking when it comes to reconciliation, for example, Lakehead University addressed the TRC calls to action directly by hiring the first female Indigenous Dean of a law school in 2016. However, during the spring of 2018, Dean Angelique EagleWoman announced her resignation citing systemic racism and discrimination. 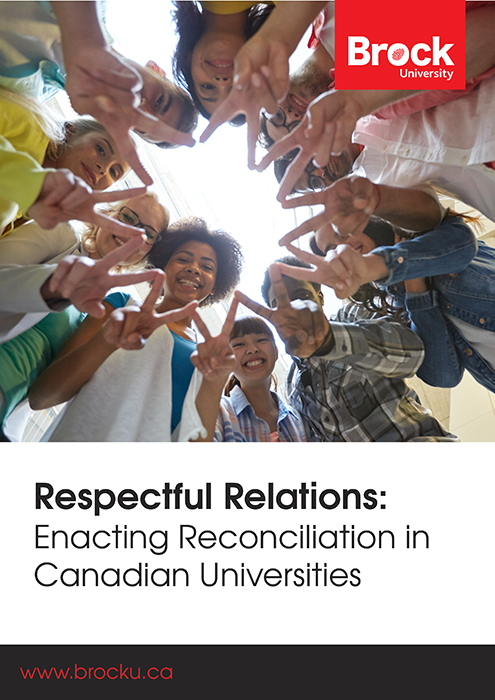 In addition, we find out that there are major events outside university contexts that have an impact on how universities engage in reconciliation. For example, we learn about the Colten Bushie court case in Saskatchewan, which concerned a white farmer who was acquitted of both first-degree murder and manslaughter back in February 2018. This was quickly followed by a verdict out of Manitoba during the same month, where a white man was found not guilty of second-degree murder in the death of 15-year-old Tina Fontaine. Added to this, the work of seven generations cannot be undone by surface-level action and thought, in the view of Dr Dawn Zinga. She argues that it will need a willingness to engage in deep deconstructive work and to examine the roots of the elements, such as structural racism that continue to undermine reconciliation efforts. Finally, the work of a number of strong Indigenous scholars is placed under the spotlight, all of whom offer crucial insights and perspectives that can help guide Canadian universities in the challenging journey toward reconciliation.